Pool Academy mascot Buzz the Bear took to the road visiting primary schools to promote his latest competition. 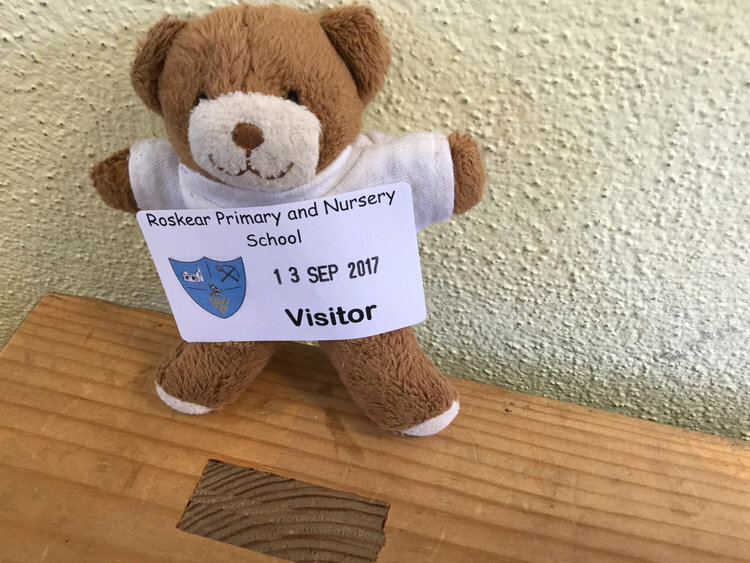 The bear travelled to six different schools in the area on the hunt for budding reporters, presenters, engineers and designers. It’s hoped Buzz will be launched into space for a second time at Pool Academy’s open evening on September 28. The countdown is planned to take place in front of parents and children interested in attending Pool Academy in the future. A new balloon and extra equipment, including a 360 camera, have been brought in for the latest space mission to capture lots more exciting images from the edge of space. Last week Buzz visited Treloweth Primary School, Illogan Primary School, Roskear Primary School, Rosemellin Primary School. Portreath Primary School and Pencoys Primary School. Mr Callaway, from Treloweth Primary School, said: “After hearing Buzz the Bear’s adventure last year Treloweth was excited to learn about his next planned mission into Space. Ros Powers, acting head at Illogan Primary School, said: "I think the competition is excellent. The children are very excited and we are looking forward to being part of it." Mr Walsh, headteacher at Roskear Primary School, said: “Buzz's adventures are so exciting. We are looking forward to entering the competition and can't wait to see him launch on the 28th."